With dangerously high blood sugar levels we made our way north to Ludington. Several times before we had been to Ludington on the way to somewhere else. Usually we hung out at the cool town park by the water where we once saw a fishing derby going on. Another time, actually our first time there, we changed a diaper and fed Henna a bottle. But amazingly enough we had never made it to Ludington State Park. So when a few days before our trip my friend Christina talked up the state park we made a point to check it out. Well Christina, we loved the park for the miles and miles of westward facing beautiful beaches that practically guaranteeing a magical sunset. I know you like to canoe so maybe you and your family loved it for the canoe trails. 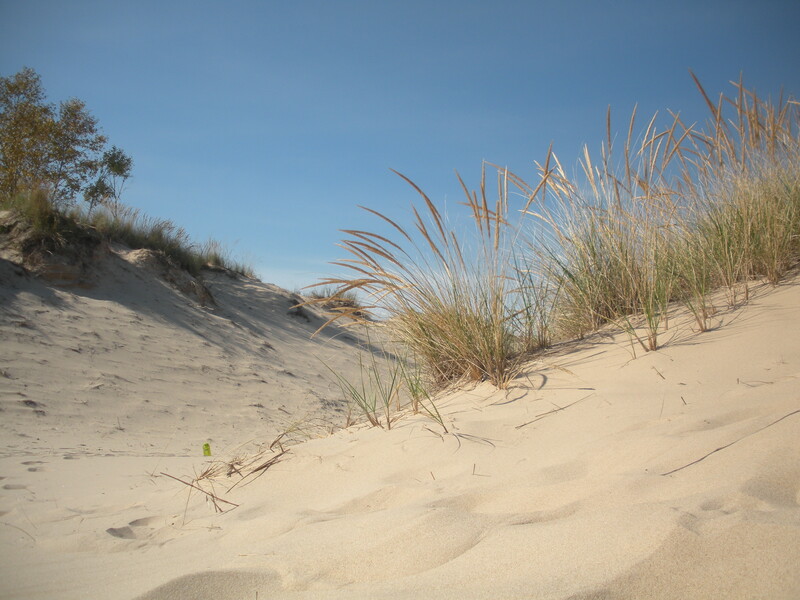 Or maybe it was the inland land, or the bike trails, or the dune climbing. Whatever your reason for recommending the place, thank you for doing so. Lesson we did learn; sometimes it actually pays to make reservations. We took one of the last campsites the Thursday we got there and then had to move next door to the nice town campground the next day. 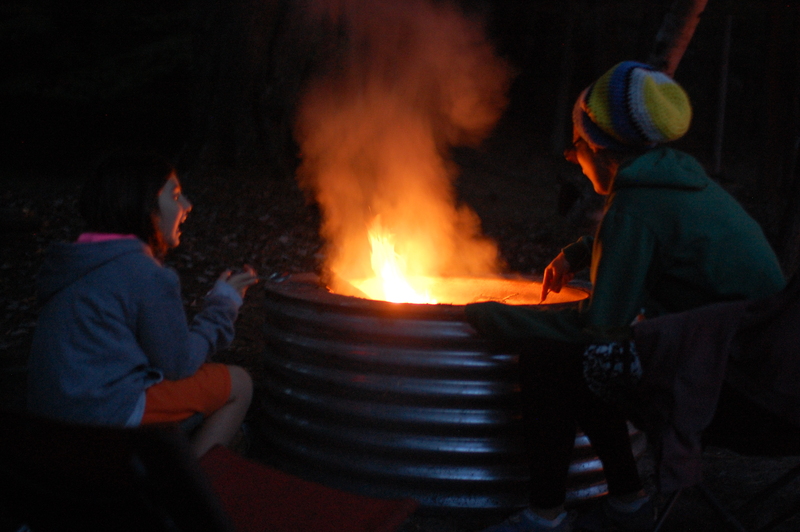 The state park actually only offers about a dozen tent only sites and the remaining two hundred or so electric campsites were pretty much on top of one another. So Ludington State Park is beautiful, but I cannot promise you peace and quiet. 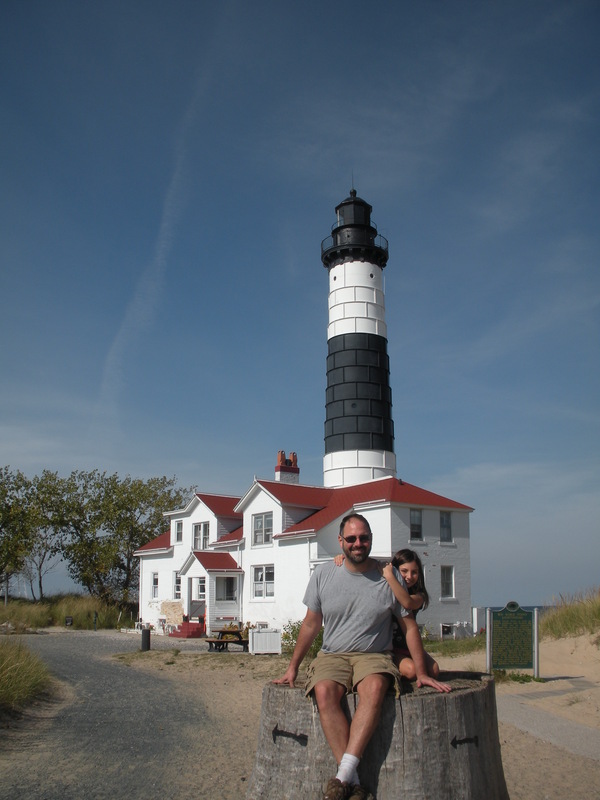 If you do go to Ludington State Park, do check out the Big Sable Point Lighthouse. Standing over one hundred feet tall the place is an easy mile and a half hike. That hike, by the way, is the difference between the place being a crazy overcrowded t-shirt pit and the quaint, easy going destination it actually is. It is as if for every ounce of effort you expend to get somewhere you lose two ounces of hell. Once at the lighthouse you can pay an extra few bucks and walk up the 130+ very tiny triangle stairs. Going up was not too bad. Going down was kind of scary. Henna and Corey opted out after only a dozen or so steps. They missed out on an amazing view. Here is maybe the coolest thing about the lighthouse. If you like giving tours to people, then you can live there rent free for two weeks. This link has all the information http://splka.org/. 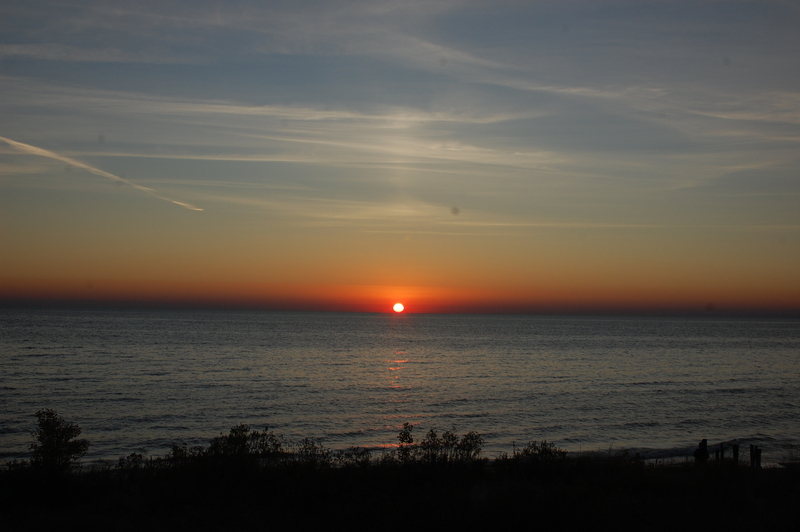 This entry was posted in Middle America and tagged Ludington State Park by hennacornoelidays. Bookmark the permalink.